Two of the world’s most popular players have confirmed they’ll be playing at Adelaide’s Kooyonga Golf Club from 15-18 February. 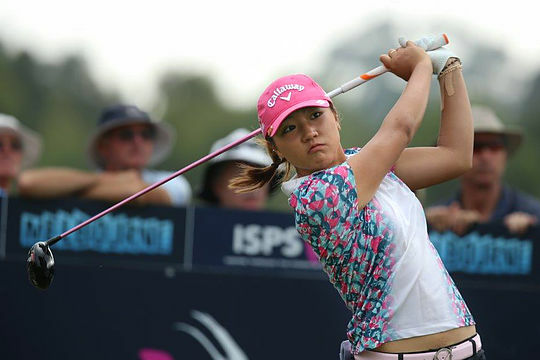 Long-time world No.1 Lydia Ko and Canadian star Brooke Henderson have both committed to the ISPS Handa Women’s Australian Open, the third year in a row both have played in South Australia for the co-sanctioned LPGA Tour event. “Australia is a place where there’s been a lot of great memories and cool moments in my career,” Ko said. “It’s that time of year you want to set a good mode and get momentum going into the season … and I feel like the Australian people have taken me in as one of their own, so I really felt huge support there and it’s a tournament where I really want to do well. Henderson, too, has become a warm favourite among fans in South Australia with her power hitting and engaging nature an equal lure for fans. The Canadian world No.14, who has reached as high as No.2 in the past two tumultuous seasons on the Rolex rankings, is, like Ko, also a fan of the South Australian leg of the global tour. “To stay right in Glenelg, we walk the beach a couple of nights, then all the shops and restaurants – it’s really cool to be able to experience that,” the 20-year-old said. Ko, currently world No.10, concurred on the eve of, remarkably, her eighth ISPS Handa Women’s Australian Open appearance at age 20. Tournament director Trevor Herden said the addition of Ko and Henderson was great news on the back of defending champion Ha Na Jang’s return and earlier confirmation of her fellow Korean So Yeon Ryu, who spent much of 2017 as world No.1. “In those four players, we have arguably the strongest collection of fan favourites anywhere in golf,” he said.